Apologies for my current blog hiatus, but I come back to you with amazing news of an acquisition of an Elsa Schiaparelli jacket made by the Bowes Museum this week...exciting! After seeing some images of the jacket, I absolutely cannot wait to visit and see it in the flesh (or the fabric in this case! )-although I've been asked to tell you that some conservation work will take place on it before it is put on show. Here are some beautiful images and a really interesting press release from the Museum into how the jacket was acquired. And, if you're looking for something to do over the Easter break, why not visit the museum and check out their permanent fashion collection? It really is worth a trip. All details and opening hours can be found here. Enjoy! The New Collecting Awards scheme was launched in 2014 by Art Fund, the national charity for art, with the aim of encouraging ‘early career’ curators to acquire objects that will progress their museum’s collection while continuing their own professional development. 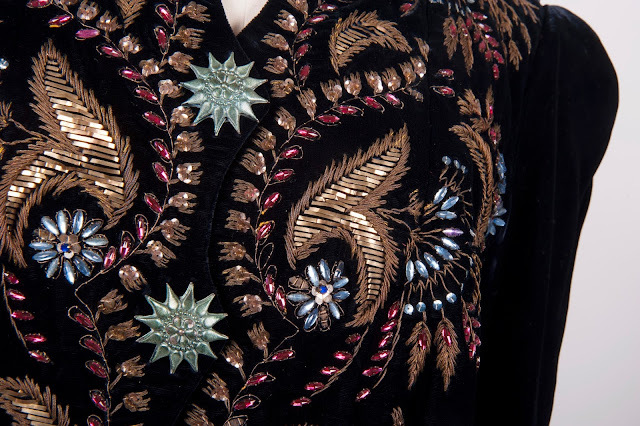 Following the scheme’s launch Hannah Jackson, The Bowes Museum’s Fashion and Textile Curatorial Assistant, was awarded a grant of £60,000 to invest in a capsule wardrobe of French haute couture in homage to the Museum’s co-founder and Frenchwoman, Joséphine Bowes. “We know that Joséphine was a collector, a patron of the arts, a society hostess, an actress, a painter and a devotee to fashion,” said Hannah. “She was among the many fashionable women who bought her clothes from Maison Worth on rue de la Paix Paris, aligning herself with figures such as the Empress Eugénie. “From bills in the Museum archive, we know that in March 1869 Joséphine celebrated her fête-day by buying seven dresses from Worth, spending £234 (equivalent to around £11,000 in today’s money). So far the New Collecting Award has enabled Hannah to travel to Paris and London for research purposes and to meet with her appointed mentor, Judith Clark, Professor at London College of Fashion. She visited archives in Paris, including the Palais Galliera and Fondation Pierre Bergé-Yves Saint Laurent, and also attended auctions in Paris and London. As part of the project she attended a week long international training course at the V&A in London entitled Curating Fashion and Dress, which extended her network of professionals in the field and offered her an insight into the V&A’s approach and ethos of collecting and presenting dress. “Looking toward the future, the course has created an international network of peers working in my field of expertise across the world, which is something we can utilise here at The Bowes Museum,” said Hannah. 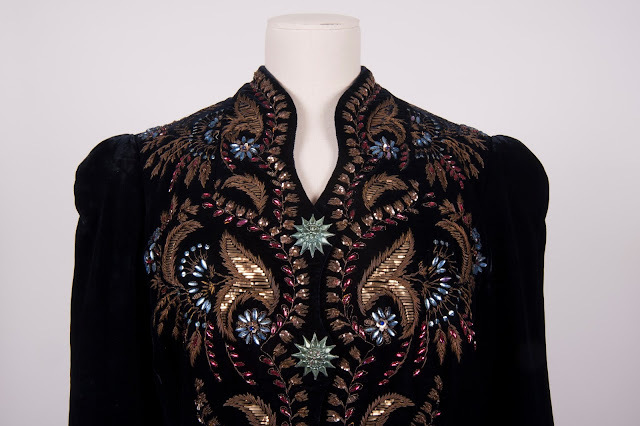 Following her in-depth research she has now acquired her first piece of couture for the Museum collection, a midnight-blue fitted velvet evening jacket, created by the famous couturier Elsa Schiaparelli for her autumn/winter 1937-8 collection. The jacket is richly embroidered by Lesage, with gilt strip and cord, sequins, rhinestones and three large turquoise star shaped buttons. The jacket was purchased from Kerry Taylor’s Passion for Fashion Auction in London. 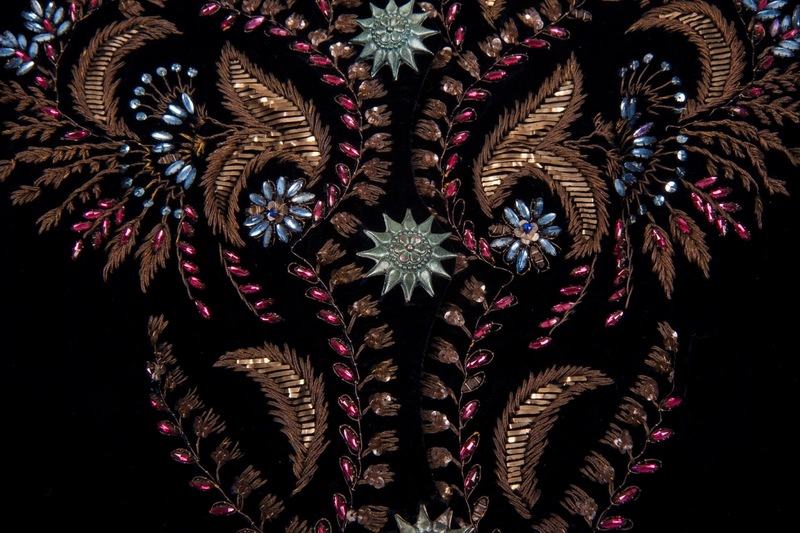 By May 2017, Hannah aims to have acquired a capsule collection of French haute couture which will reinforce the unique identity of The Bowes Museum’s fashion collection. “Moving forward and beyond the project, our department aims to focus its collecting in a more French direction, in order to reflect the core history of the Museum and its co-founder Joséphine Bowes, whose life will be reflected in a forthcoming exhibition – Celebrating the Life and World of Joséphine Bowes: A Parisian Woman and her Legacy, The Bowes Museum - as we celebrate the Museum’s 125th anniversary,” she added. Joanna has recently contributed to a new publication on the presentation of dress in museums, Refashioning and Redress, Conserving and Displaying Dress edited by Mary M. Brooks and Dinah D. Eastop, published by Yale University Press, in which she discusses the complex, collaborative process that resulted in the new gallery at The Bowes. The book features the evening dress by Schiaparelli from The Bowes Museum collection, which is currently on show in the Fashion & Textile Gallery. Many thanks to Sheila Dixon at the Bowes Museum for providing me with this press release and images.